Bring this beautiful painted and rustic oak dining set into your dining room today! 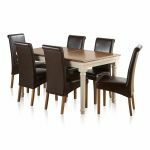 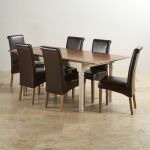 It features our stunning Shay painted and rustic oak dining table, with 6 of our popular brown leather Scroll Back chairs. 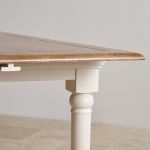 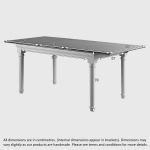 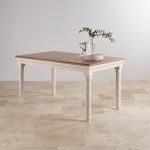 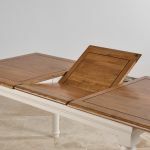 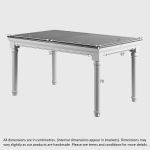 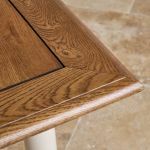 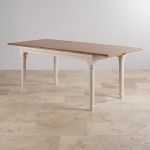 The table features turned legs painted in a sweet shade of almond grey, with a rustic oak top and cut detailing, plus a handy butterfly extending mechanism. 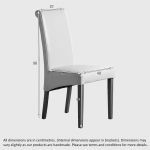 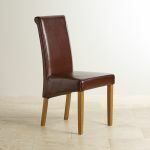 The chairs are upholstered in 100% real leather, and as always, we offer free delivery to the room of your choice!